This level have normal difficulty that will require few good technique to complete this level. First for this level you should try to break top jellies using striped candy with wrapped candy combo or other special candy with balancing the odus owl. 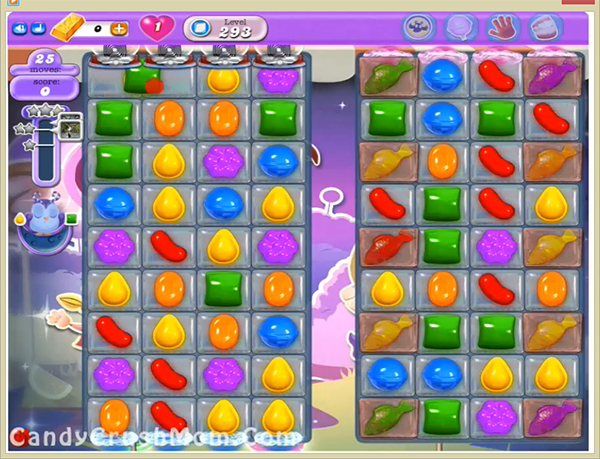 After in end use fish that you get to break remaining jellies to complete this level within 25 moves. We complete this level with 994870 score using above trick and got luckily single star score plus completed requirement before lot of remaining moves.